Based on legendary MARSHALL amplifiers, this amp-simulation plug-in includes 6 Control knobs, Speaker Emulation with Bypass, Stereo Mode Switch and Boost Switch. The P&M British Tone is an extremely versatile guitar amp plug-in that can deliver anything from sweet sound, warm overdrives to edgy overtone-rich distortions. It features detailed sounding nuances, as well as one of the most musical British amp-like distortion that is never flat or muddy. 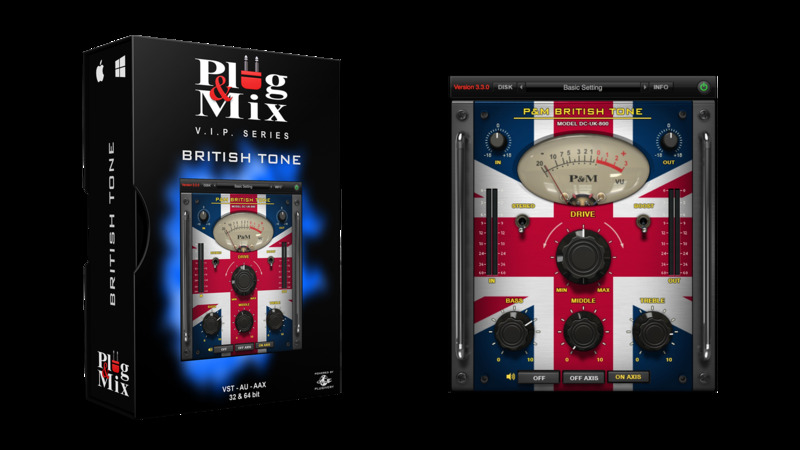 The P&M-British Tone can add some serious fire to your sound! The P&M-British Tone can be used as a great guitar preamp or as a full guitar amplifier taking advantage of the built-in speaker emulation. - Bass : Adds less or more low frequencies. - Middle : Adds less or more middle frequencies. - Treble : Adds less or more high frequencies. - Selector BTN : Off (bypassed), Off Axis mic or On Axis mic for speaker emulation.